Planet Earth: How to Save Her? UNICRI was an active player in a local environmental awareness initiative related to the International Year of Planet Earth (IYPE) and the United Nations Decade for Education for Sustainable Development. Addressed at students, parents, teachers and citizens of the region of Piedmont (Italy), the programme focused on the role of the region in the global fight against environmental harm. Entitled IYPE – Planet Earth: How to save her? - the project ran from November, 2008 to May, 2009, and aimed to define the role of governments, international organisations and civil society in the emerging environmental crisis, which threatens the security of our planet. 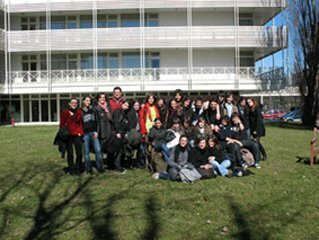 The project brought together many local players, such as UNESCO, SIOI Piedmont and Aosta Valley, CIF/OIL, the University of Turin, and the UNSCC. UNICRI lectures focused on environmental crimes, national and international law and environmental issues; illigal trafficking of waste; illegal deforestation; illegal trafficking of rare and protected species of flora and fauna; abusive fishing practices and the traffic of ozone-damaging substances.